Celebrating over 25 years of business serving Kelowna! 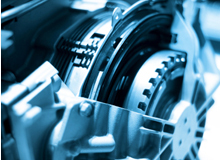 At Glenn’s Automotive & Transmission, we’ll fix any mechanical problems your vehicle experiences. Whether you’ve been in an accident and need suspension work, want a full transmission rebuild or just need tires, we’re here to help you with personalized services and the latest computer diagnosis and 4 Wheel Alignment equipment to get the job done right. Whether you need routine maintenance, auto repair, transmission repair, new brakes or quick oil change, Glenn’s Automotive & Transmission in Kelowna is a full service shop with the tools to do the job.